Week 22 from the start of this year. At 50, my body is not a temple. It’s more like an amusement park! Ha! Kind of like the Kingda Ka roller coaster. Crazy as it seems, I find myself giddy and intensely alive now. 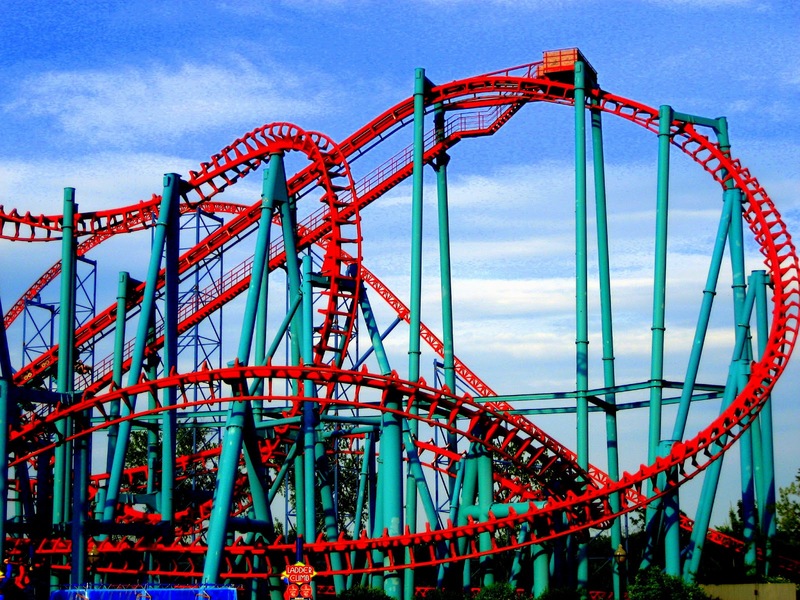 Sort of how a roller coaster sets off a chemical reaction—the release of adrenaline and dopamine. 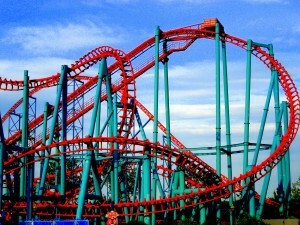 Life is so busy it’s a ride sometimes of extremes. Like a memorably scary coaster, I’m raw now with feelings. It’s not only me, right? I’m enjoying this crazy ride figuring out what being 50 is all about. My body is definitely not a temple. It’s a crazy ride. Not a smooth ride full of floating zero Gs. Some days are brutal. I do believe my body is an absolute mirror of my mind! Now that’s scary! My physical state is truly a “direct reflection of how I feel.” So at 22 weeks in from 50, I’m cranking up my “Happiness Project.” I am pursuing passion, having an affair with myself by choice. Loving myself just a little bit more. The days can be long, but the years are short…so give yourself credit for the smallest effort. You’re not happy unless you think you are. I’m going to scream like hell, giggle the entire ride and pray my body doesn’t become a wooden roller coaster sooner than later! I hope you had a chuckle. You can subscribe to be notified when I blog below by signing up, follow me on thesparkleprincess.com, Twitter @GatorgirlPress or Twitter @Diningduchess, follow me on Facebook @RandiAileenPress or Facebook@DiningDuchess. Or if you’d like to write me directly, my email is randi@52TO50.com. This entry was posted in Uncategorized on May 31, 2014 by gatorprincess. ← Mirror Mirror…Who’s the Fairest After All?